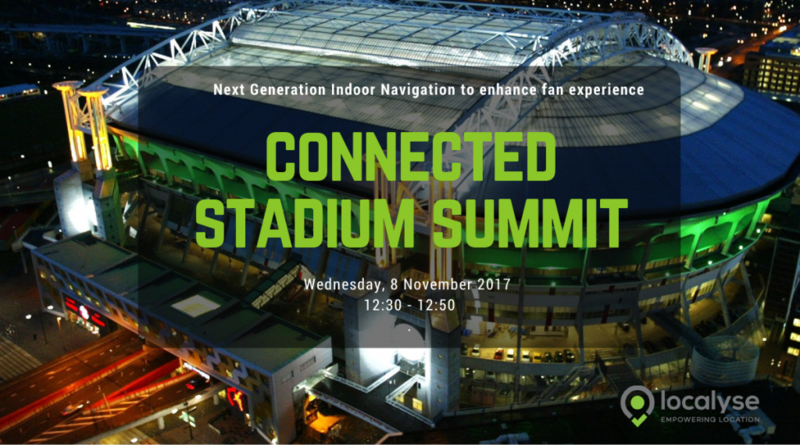 Localyse’s partner for Indoor Navigation, MapsPeople, will talk about the “Next Generation Indoor Navigation on the 8th of November at the Connected Stadium Summit in Amsterdam. Are you ready for the future of big events? Sports arenas are fun filled but also hectic at times, and it can often be pretty much impossible to find your seat in time for kick off. With MapsIndoors you can offer fans a wayfinding solution, which can turn their experience at your arena into one they want to repeat and rave to everyone about. Add to that the possibility of sending them special food and drinks vouchers or discount codes for upcoming matches and you have the winning formula. Future-proofing technology investments, and enhancing the fan experience is a challenge facing large venues/stadia and professional sports clubs around the world, and they are tackling it by increasing and improving wireless access in a smart way and building digital services over great connectivity. The Connected Stadium summit provides a uniquely focused and realistic view on how to ensure ICT investments deliver. How do you find your way at MWC 2017? Will floating car data help solve our global congestion challenge?